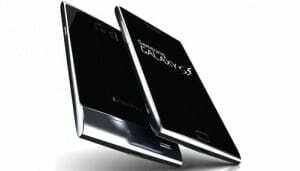 Galaxy S5 will be released in the spring of 2014, probably in April and some of the most expected features are the 64-bit processor and an aluminum case. Samsung is already working on their next flagship, the Galaxy S5, probably even for the Galaxy S6 knowing how competitive this industry is. With Apple launching the iPhone 5S with a 64-bit processor we are definitely expecting Samsung to match up this technology. There is no official statement on this, but knowing how Samsung has acted in the past, we can say that the Galaxy S5 release date will be at the start of the second quarter of 2014. So if you are wondering when is the Galaxy S5 coming out we can estimate the beginning of April to be around right. Of course, that will be the official release date, but you will probably be able to buy the phone a month later or so. First of all, one of the most certain things about Galaxy S5 is that it will be released with a 64-bit processor. We can confirm that Samsung’s co-CEO, Shin Jong-Kyun, has officially declared that they will match the processor of the newly launched Apple iPhone 5S in their upcoming flagship. Another issue that has been on the minds of all Samsung users are the polycarbonate cases that are are used for the company’s products. This is moving away more and more users from using Samsung phones in exchange of other devices like the HTC One or iPhone that are using aluminum cases. In this idea, we are expecting Samsung to come up with a whole new design for the upcoming Galaxy S5 and use aluminum instead of plastic. In terms of the operating system, Galaxy S5 has an exiting perspective ahead of it, more precisely it can be powered by a Samsung-Intel Tizen OS. Some insane specifications are also expected from the Galaxy S5 like 4 GB of RAM and a whole new type of processor, however it is too soon to give a statement on that. What we hope is that Galaxy S4 will be come out at the beginning of next year in a whole new image, very different from the current Samsung flagships.